BARTLEY RESIDENCES is located at 1 - 7A LORONG HOW SUN in district 19 (Hougang, Sengkang) of Singapore. BARTLEY RESIDENCES is a 99-year Leasehold Condo development consisting of 702 units. BARTLEY RESIDENCES is completed / TOP in 2015 (estimated), developed by BARTLEY DEVELOPMENT PTE LTD.
Educational institutions like DPS INTERNATIONAL SCHOOL, STAMFORD AMERICAN INTERNATIONAL SCHOOL, HILLSIDE WORLD ACADEMY, MARIS STELLA HIGH SCHOOL, PAYA LEBAR METHODIST GIRLS' SCHOOL (PRIMARY) and CEDAR PRIMARY SCHOOL are near to BARTLEY RESIDENCES. BARTLEY RESIDENCES is accessible via nearby BARTLEY, TAI SENG and SERANGOON MRT Stations. Bartley Residences offers full condo facilities and city fringe living with great convenience, connectivity and easy accessibility! 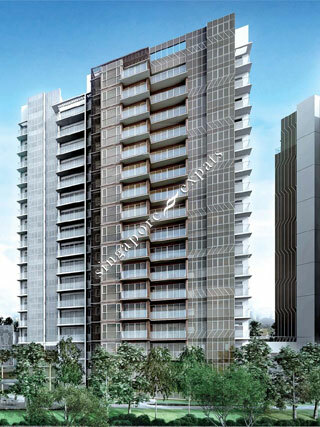 Bartley residences is a beautiful recently TOP Condominium at Lorong How Sun (Bartley Road). All family related relaxing opportunities for adults and children are available. 50 Mtr long lap pool, children's play pool, tennis court, indoor gym etc. etc. For children and teenagers various schools in the immediate area available. Transport on the Circle MRT line is directly opposite the property through Bartley Road exit gate and will take you anywhere in Singapore city center within 20 minutes. Brand New Condo completed in August. Condo besides Circle line MRT, very convenient, travel to town area and towards Paya Lebar, Serangoon, in just 15 minutes. Good for Expats who like quite & greenery living. Can have outdoor dining.